We take the time to listen to you and customize our treatment plans accordingly. Our family has been coming to the doctors at Vision Dental now for over 2 years and we still make the drive even though we moved across the city. My hygienist Christine is the best! She makes me feel comfortable and does the cleaning in a caring way. All of the fillings we did also turned out fantastic. I like how the staff and doctors are patient and good at explaining things each visit. Friendliest staff and doctors that genuinely care. My daughter had braces done at Vision Dental with Dr. Cheng, and she now has the most beautiful smile. I can see a big difference in her self-esteem and confidence, and am so glad we came. The office is clean, and I was always impressed by their helpful staff. Highly recommend! Our 3-year-old daughter had some complex dental issues, and we checked out other pediatric dentists before finally finding Dr. Andrew at Vision Dental. From the start, he made us feel more comfortable than ever, as he explained my daughter’s situation thoroughly and reviewed our options. When it came time for her procedures, he was very gentle and kept our daughter (and us) calm. He takes a conservative approach and treats only what is necessary, which is what we were looking for. f you’re looking for the best pediatric dentist, Dr. Andrew Huynh has my highest recommendation! Dr. Andrew Huynh is the best pediatric dentist there is! We bring our two young children to see him (ages 2 and 4), and he is wonderful with them every time! The TV on the ceiling really helps to distract my kids, and they love the great selection of prizes at the end of their visit! From a parent perspective, Dr. Andrew takes the time to explain everything to me and always answers all my questions. He makes himself available afterhours both by phone and email, which really puts me at ease. Overall, this office is amazing and I would recommend Dr. Andrew to anybody looking for a great pediatric dentist for their children! Dr. Huynh in pediatrics is my all time favorite dentist for my three kids. He's thorough, gentle, informative, and down-to-earth. I also appreciate how he follows-up on previous issues for my 10 year old son and 8 year old daughter. What's really impressive is how he handles my shy 4 year old who gets easily spooked by new experiences. With Dr. Huynh's attention to detail and the high-tech offices with state of the art everything, I feel like my kids are getting the best care possible. Friendliest staff and doctors that genuinely care. My daughter had braces done at Vision Dental with Dr. Cheng, and she now has the most beautiful smile. I can see a big difference in her self-esteem and confidence, and am so glad we came. The office is clean, and I was always impressed by their helpful staff. Highly recommend! "Vision Dental has the most caring and attentive staff. I had my braces done here and absolutely love my new smile! They were fantastic every step of the way, and I would highly recommend them." 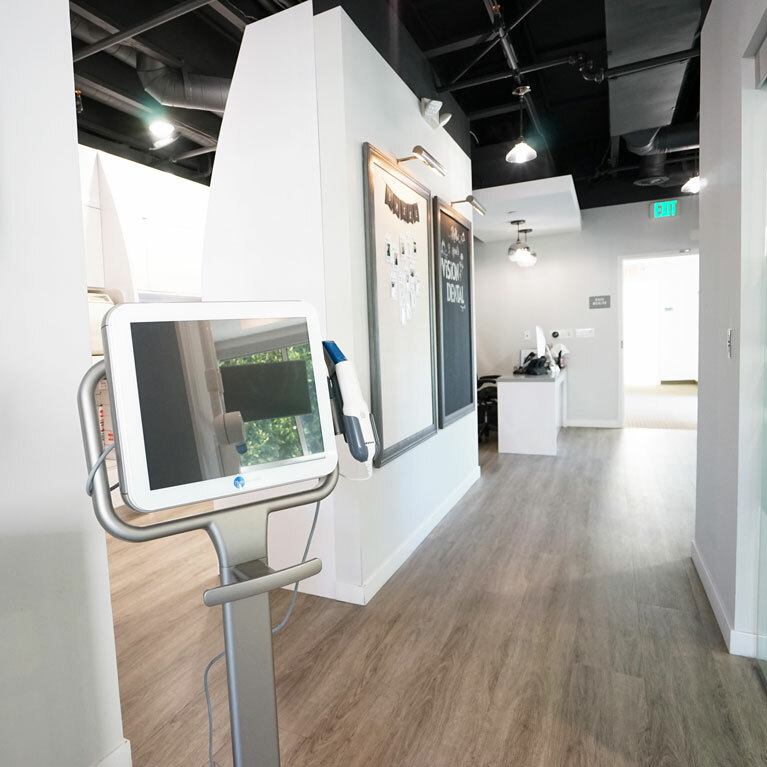 Welcome to Vision Dental, the Santa Monica dental office of Dr. Nicole Cheng, Dr. William Cheng, Dr. Rogelio Garcia, Dr. Andrew Huynh, and Dr. Chris Strandburg. We welcome patients of all ages and provide outstanding general, pediatric, and orthodontic dentistry. Our team believes that dentistry can be an enjoyable experience. We have experienced and gentle dentists and hygienists who truly care about our patients and provide treatment in a way that puts our patients at ease. We communicate throughout the treatment process, so you know exactly what to expect during and after your treatment. Simply put, we treat our patients like family, and as the members of our community develop long-term relationships with the Vision Dental team, that is what they become! Dentistry should improve your health, and we know that patients want to make sure they have a great value for their investment. By using the finest quality products and materials available and combining these with the expertise of our skilled dentists, we create attractive, healthy smiles our patients feel confident about. Modern dentistry provides many opportunities that were not possible just a few years ago. 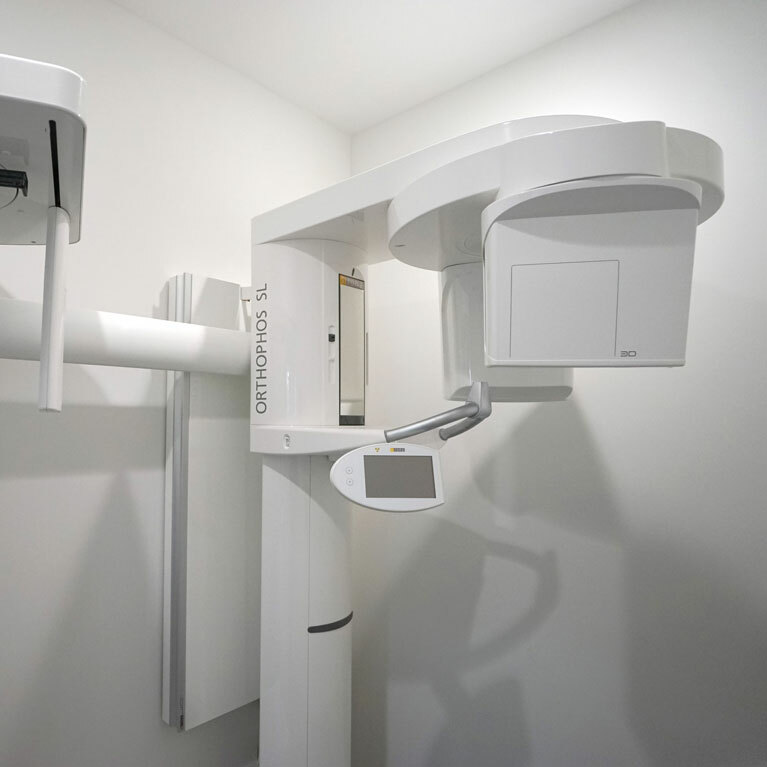 We have introduced 3-D imaging, digital impressions, and the latest techniques to improve precision, convenience, and comfort when it comes to your dentistry. We see the investment in dental technology as an investment in you. If you want a family dental office that treats more conditions under one roof, you have come to the right place. Many of our patients appreciate the ability to schedule multiple appointments for family members simultaneously, making the time they spend in our office more efficient and practical. We also treat orthodontic conditions for both adults and kids. It’s never too late for a healthy, beautiful smile, and we offer all types of treatment, even clear braces, to meet the needs of your family. 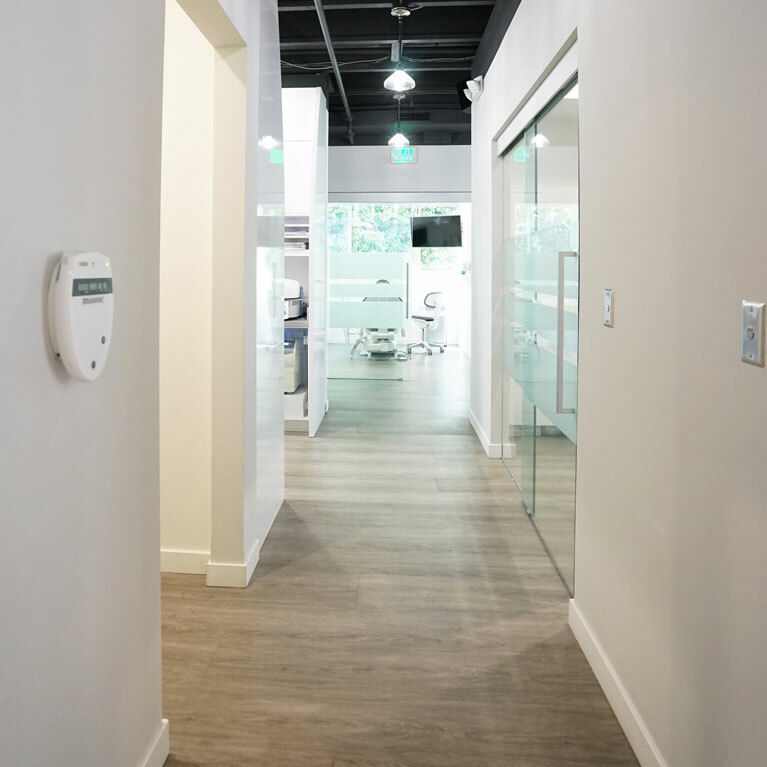 We have convenient office hours to help you work around your busy school or professional schedule, and we also offer free underground parking and an open door to welcome you and your smile to Vision Dental. We welcome the families of Santa Monica, Brentwood, Pacific Palisades, West L.A., and the surrounding neighborhoods to join our dental family. We are passionate about improving the health of our community with high-quality dentistry and look forward to exceeding your expectations. We have appointments available. Give us a call to schedule yours! Welcome to our office, constructed in 2016.